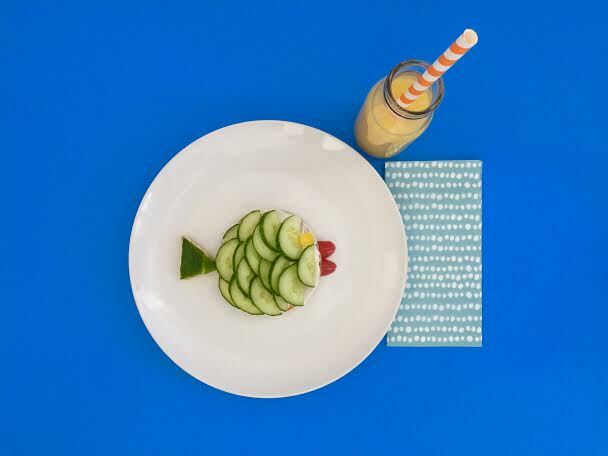 Today we have a cute little food art idea for you! 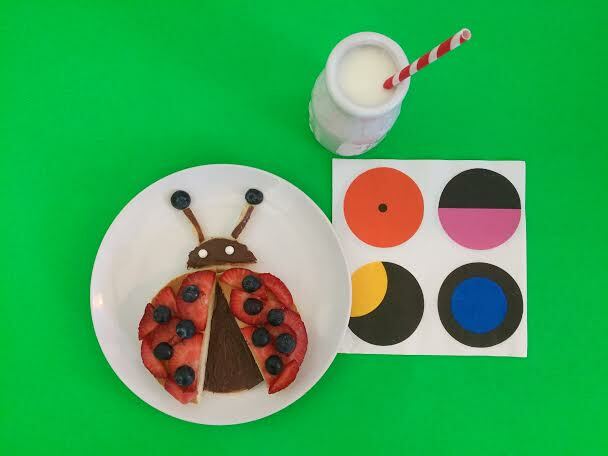 We typically don’t have a lot of time in the mornings but our kids always, always appreciate creative gestures like these, so we found one great shortcut to help make this fun project doable. Frozen pancakes! We’ve loved a good frozen waffle for years, but had never tried a pancake — these are De Wafelbakkers and were perfect! Sliced oranges and nectarines with an orange infused syrup. To make the syrup simply bring 1 cup of your favorite maple syrup and the zest and juice of two oranges to a boil on the stove. Reduce to a simmer for 15 minutes and enjoy! 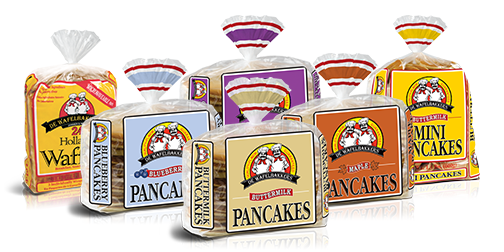 Take two large buttermilk pancakes and one small. Cover the first large in chocolate hazelnut spread. Cut the second large pancake down the center and set on top the first with a triangle of the Nutella showing. Layer thinly sliced strawberries and top with halved blueberries. For the head, slice a mini pancake in half and top with cake decorating pearls. This panda is one large pancake and two mini. 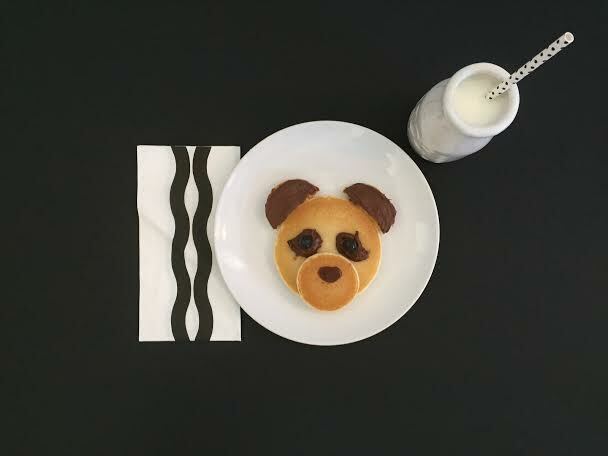 Taking Nutella spread on one halved mini pancake for the ears, and spread on tear drop shapes with blueberry eyes onto the large. Take one more mini for the nose and spread on a nose. This one is a savory pancake! Taking your favorite tzatziki (a yogurt and cucumber dip, we love Costco’s!) to one large pancake. Then top with thinly sliced cucumbers. Totally refreshing and tasty, and a great lunch option! Even better with sliced turkey. Find more food art ideas on De Wafelbakkers Pinterest // Facebook // Instagram // Twitter. 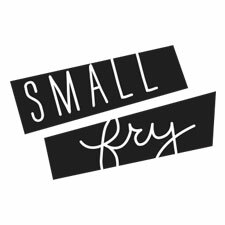 Also head to our Instagram @smallfryblog to win a year supply!